Belvoir are back at Sacrewell, and they want your picking power. After a challenging winter the sun has finally put his hat on and come out to share in the good times of Summer, and with him he brings an abundance of Elderflower. 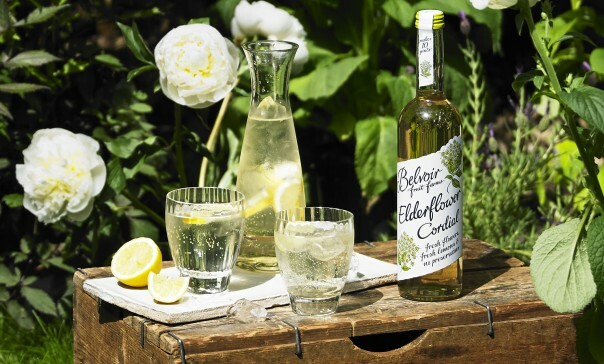 So get ready as Belvoir are calling you to kindly roll up your sleeves and take to the English hedgerows in your local area to help pick another bumper crop of Elderflowers, so that they can continue to make lovely Elderflower Cordial and Elderflower Pressé. Choose your picking location. When picking, do not pick from public places, e.g. church yards, and only pick from land with permission; please respect the countryside code. Please note that there is no picking of Elderflowers at Sacrewell. You’ll need … a bin bag to put the flowers in and some good walking boots. We advise you to wear long trousers so you don’t get stung by nasty nettles. We like elderflower heads, so no stalks please, and they need to be fresh so please deliver the flowers on the same day you picked them because they go brown very quickly and become unusable. Bring your elderflower heads to Sacrewell, between 2.30pm-5pm. You’ll see the Belvoir team and van just before the Sacrewell car park. Belvoir pay £2.50 per kilo for your lovely Elderflower, which they will weigh near the Belvoir van. Find out more on the Belvoir website …happy picking!